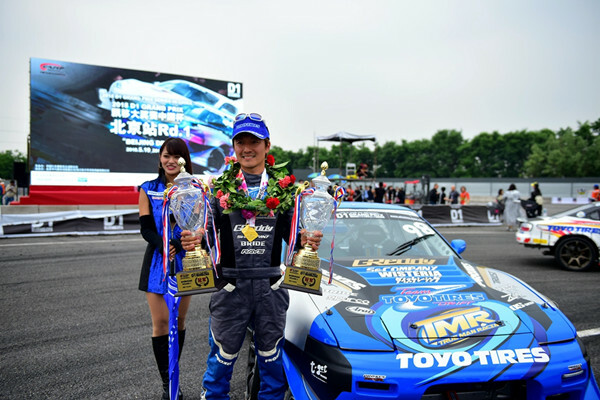 Japanese professional drifting driver Masato Kawabata won two championships in two categories of the D1 Grand Prix Series in China held in Beijing last weekend. The Osaka-born professional drifting driver first showcased his supremacy by winning the Tanso section, which is the solo routine competing in drift technique. Later, he faced fierce competition in the Tsuiso section - the one to one drift battle tournament -against strong rivals such as Akinori Utsumi and Tetsuya Hibino, and came out on top. This latest victory adds to Kawabata's two championships already sealed in 2016 and 2017 in Beijing. Drifting is a driving technique which sideslips the rear wheels, if not all four tires. Dynamic and spectacular actions are attractive and the drifting battle depends on a driver's skills rather than the machine's performance. The winner of the China stage will be able to join with other racers all over the world to compete for the world championship. The D1 Grand Prix Series was inaugurated in Japan in autumn 2000. Before the car drifting competition entered the Chinese market in September 2016, the country only had several small unofficial drifting race competitions . After two years of development, the D1 Grand Prix Series in China has already nurtured a large fan base with increasing levels of interest alongside the improving abilities of Chinese racers.